Autoblog have the scoop on a Frozen White 6 series convertible. 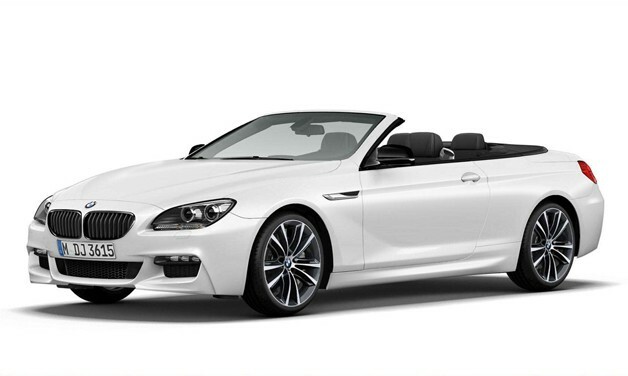 We’re huge fans of the 6 Series in general, even more so the convertible. In Frozen white this will look epic! BMW have previously done a Frozen Black M3, which was also drool-worthy. BMW has announced updates to the 6 Series lineup today, including a special “Frozen” edition of the convertible, and a 640i Gran Coupe in all-wheel-drive trim. BMW has also informed us that all of its 6 Series Gran Coupe models will now be available with the company’s xDrive all-wheel-drive system. No pricing has been given for the xDrive versions of the car as of yet. Finally, traditionalist Bimmerphiles will be happy to hear that the automaker is now offering six-speed manual transmissions for all flavors of its M6. The M6 Coupe, Gran Coupe and Convertible will all have a no-cost optional 6MT with rev-matching downshifts. Continue on belowfor BMW’s full press release about the 6 Series and M6 updates for 2014.